Paper copies of the school newsletter for June 2016 will be distributed today. However, if you can’t wait that long to read what’s inside, you can download a copy here! Along with the Head Teacher’s message before we break up for the end of term, the newsletter includes some exciting information about our learners’ performance and achievements, both curricular and personal successes outside of the classroom. There’s also important information about the term in August including changes to applications for free meals and clothing grants and important dates for your calendar. 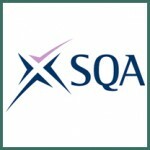 Good luck to all of our young people receiving their SQA exam results - hopefully you are rewarded for the efforts you put in throughout last year and gain the results which reflect these.